On the First Shoe of Christmas my true love gave to me, a pair of Louis Vuittons! 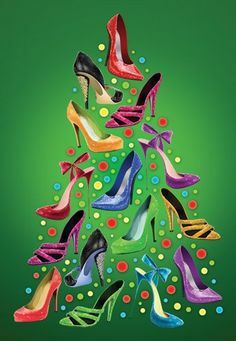 This particular shoe, part of their 2015 V Signature Collection, is perfect for any Christmas Cocktail party or New Years Eve celebration you attend. The gold accents are an easy way to spice up your outfit while staying classy (though the champagne may say otherwise). Tune in tomorrow for Day #2 Shoe of Christmas!